We are very pleased to be nominating six different pieces from our 2018 library. Congratulations to all our nominees! Decisions are in the hands of the Pushcart team. Good luck to everyone! Katerina Eleftheriou is a Toronto based freelance copywriter and blogger that graduated from the University of Toronto for English and Classical Civilizations. While most of her time is spent writing copy for a software company she has also been published on sites such as Elite Daily, The Purple Fig, Hangover Box, and Aurelia Magazine. She self-published her first YA fiction novel “Laughing at a Funeral” in 2017 and is currently working on flash fiction stories for various literary journals. Her best writing is done curled up by a window on a sunny day with a hot cup of coffee in hand. Jordan Ryder is from Toronto, Ontario. She’s just spent a year in Ireland where she drank loads of Guinness and studied for her Master’s degree in Literature and Publishing. Jordan received her MA with First Class Honours from the National University of Ireland, Galway, and she also holds a BA in Creative Writing from Dalhousie University, in Halifax. Currently, Jordan is working for the Brink Literacy Project and trying to figure out how to be a professional. She writes whenever she can and is adamant that a manuscript is on its way. Susan Siddeley graduated with a B.A. Hons degree in Politics and a Diploma in Education from the University of Wales. After emigrating with her geologist husband to Canada, she spent many years in Jamaica, Bolivia and Chile. Now back in Toronto, Susan enjoys the vibrant writing scene and opportunity to reflect and write of her experiences in a changing world. She has written four poetry chapbooks, a memoir ‘Home First’ and is working on a sequel, ‘Without a Map”. Stephanie Tamagi is an Alberta-born author, though her roots began elsewhere. A freelance writer and novelist, her work has previously appeared in Other Voices magazine. She loves to disappear into books, play in the dirt and kitchen, and watch all things grow. Stephanie’s varied work history, from painter to project manager, provides rich inspiration for her writing. She holds a degree in Political Science and Creative Writing from the University of Alberta. Stephanie can often be found living in her head, which currently resides somewhere around Edmonton. Caitlin Thomson is co-founder of The Poetry Marathon, an international writing event. Her work has appeared in numerous anthologies and literary journals including: The Adroit Journal, Rust + Moth, Barrow Street Journal, and Killer Verse. 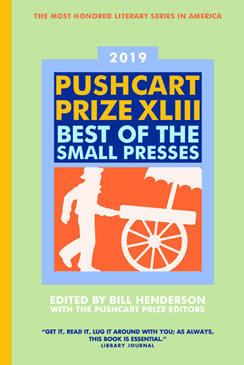 Her work has been nominated for the Pushcart Prize, BILiNE, and The Best of the Net. Her third collection of poetry, Territory Prayer, was published by Maverick Duck Press. You can learn more about her writing at www.caitlinthomson.com.